Already one of the most generous providers of aid, Luxembourg has strengthened its development profile in recent years. It could build on this by setting out a clear vision for the future that factors in new risks of instability in fragile countries and ensures that no vulnerable groups are overlooked, according to a new OECD Review. 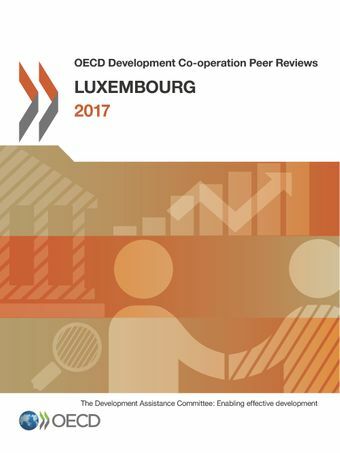 The DAC Peer Review of Luxembourg says that concentrating official development assistance (ODA) on a limited number of countries and social sectors, and being focused on the effectiveness of its aid, enables Luxembourg to maximise its visibility, impact and international influence. Partner countries praise the predictability and flexibility of its aid. In order to reply to emergency humanitarian needs, Luxembourg has developed a solid expertise in emergency telecommunications through the emergency.lu project. The project enables rapid deployment of a telecommunication platform and Internet connectivity in disaster and crisis zones. It is innovative in that it results from a public-private partnership, which is less common than deploying civil protection teams and troops in these contexts. Since its launch in 2012, emergency.lu has been regularly deployed in several crisis zones mainly through a partnership with the World Food Programme, the lead partner in the sector of emergency telecommunications, and through a memorandum of understanding signed with other multilateral agencies.